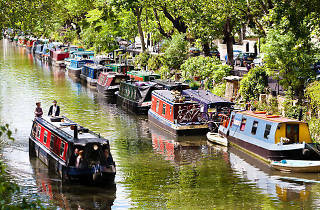 Little Venice is exactly that - a big pond section of the canal route with boats a plenty and a holiday-like feel. Canal boats line the edges are are stuffed to the rafters with plants and objects you can look at. Worth a wander on a nice day for sure and a nice shady spot with plenty of overhanging trees too. This little bit of London is very cute indeed. A nice canal, filled with ducks, swans and colourful barges – some with shops inside, all with flower pots on the roof. Come at the weekend, when the boats are all there. You can decide to walk to Camden following the waterside, or take a boat to London Zoo. The area is quite small though, so it is excessive to plan a trip on purpose, just to visit it. But if you just want a simple walk around or are in the area, please give it a shot. A little quiet haven in West London, with several waterbound barge cafes and businesses. Best accessible from Warwick Avenue or Royal Oak tube stations, there are several different walks you can take (and there are lots of ducks and birds to feed). If it is good enough for Paddington Bear in the movie (which was mainly filmed around here), it is good enough for me! Tip - try visiting during the annual Bank Holiday Cavalcade - lots of barges visit from all over the country, adorned in bunting with various activities for the kids and lots of craft and food stalls. What a wonderful Sunday stroll I had, walking through Little Venice watching the canal boats glide by. 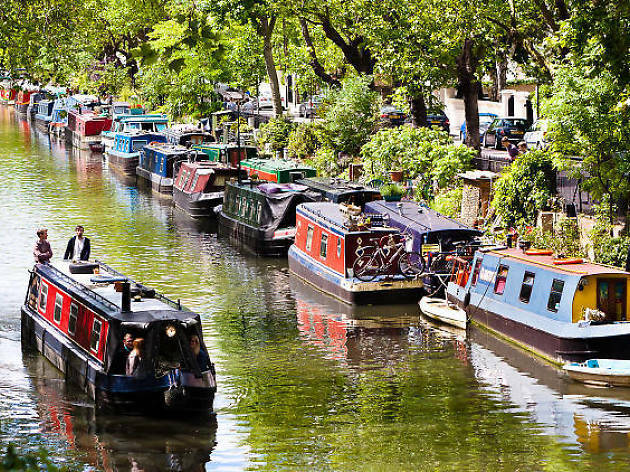 If the sun is shining and the wind isn't to drastic then make sure to head to Little Venice. I walked through from Paddington to Little Venice then all the way to Regent's Park. As you get closer and closer to Regents' Park tourists begin to emerge in clusters- keep an eye and be weary as it isn't as pleasant strolling the canals with swarms of tourist (try find your own secret spots in between the main areas). A great route to walk and see a different side to London. Welcome to my little part of London, let me show you around! Get here via Warwick Avenue tube and try not to start singing Warwick Avenueeeeee. The take a short walk to Little Venice where the canals are. Stop by the little river boat cafe for a coffee or breakfast/brunch/lunch and stop by the cute Rembrandt Gardens before strolling along the canal either to Ladbroke Grove/Notting Hill area or the other way towards Regents Park/Primrose Hill/Camden. I hope you enjoy the peace and tranquility, and if you have time try the Waterway Or Summerhouse for dinner and drinks. If you like flowers, Clifton Gardens in the area is also a must! Walking along the Regents Canal is probably one of my favourite things in London. This little stretch of the canal makes walking West of Camden such a treat. The cute little stores inside individual long boats and the food stalls along the banks give the area so much personality. I love that you can simply stroll on by or make it your destination for the day. It is a perfect way to remove yourself from the hustle and bustle of London without going out of your way or getting on a train with hundreds of other people. I just wish the stalls and the boats were there everyday instead of mostly on the weekend. Last time I went was a Thursday afternoon and it was kind of dead. But the peace and quiet was greatly appreciated. This place a very nice little getaway and the stalls are just brilliant. Check it out. You've got nothing to lose.